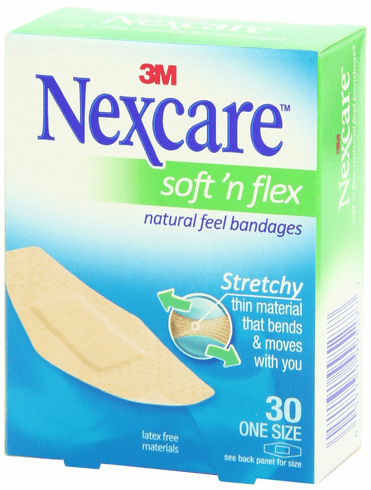 Soft 'n Flex Natural Feel Bandages. Stretchy thin material that bends and moves with you. Made of latex free materials. 30 bandages. One size.